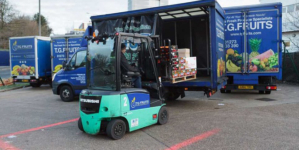 Approximately 1000 workers in the UK are seriously injured or worse in forklift truck accidents each year, according to the Fork Lift Truck Association. 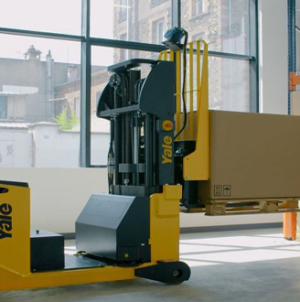 As with many kinds of workplace injury, the risk of these accidents happening is drastically increased during the winter months, when bad weather and poor conditions exacerbate forklift safety issues. Fortunately, there are some best practices that managers and operators should follow in order to minimise the risk of such events occurring. In this article, we’re going to walk you through the steps you can take to ensure your fork lift truck drivers are kept safe in the cold weather. Working in wintry conditions can have a number of adverse effects on workers, from very minor to fatal. Prolonged exposure to freezing temperatures can start to negatively impact even the most experienced forklift operators by decreasing concentration levels and ultimately affecting cognitive performance. As an employer or manager, it is your duty to ensure all your workers are properly protected from the elements and kept warm. Each worker should have a full kit of personal protective equipment (PPE), which includes windproof coats, multiple layers of warm clothing, as well as hats, gloves, and any necessary safety equipment. It is also wise to invest in high visibility jackets for when visibility is low. Whether you want standard hi-vis vests or full-on jumpsuits, Zoro has a fantastic range of hi-vis PPE to choose from. As an employer, you must ensure that your workers are fully qualified for the job at hand. 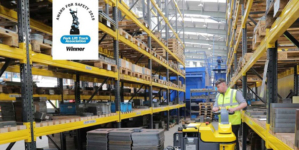 By being trained to professional standards, forklift operators will be able to minimise risk and ultimately improve site safety for everyone involved. Basic training should be done off the job to remove any workplace pressures, but once workers are comfortable, specific job training should be done on-site. Health and Safety Training offers a range of safety courses available for every kind of forklift, and they even have refresher courses for workers who might need to brush up on their knowledge. Working in cold winter conditions is also bad for forklifts, so protecting your machinery is important when it comes to safe operation. 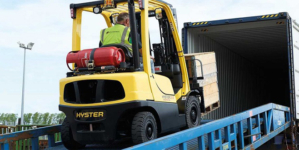 High quality covers should be used to keep forklifts protected from wind and rain, and pneumatic tyres should be installed to provide increased stability when conditions are bad. If pneumatic tyres aren’t feasible for your model of forklift, consider purchasing tyre chains and studs for additional grip in ice and snow. 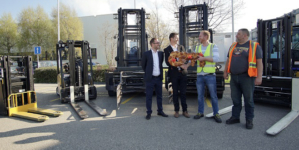 Part of ensuring forklifts are protected includes regular, effective gritting of frosty and snowy ground to protect both the vehicle and pedestrians. Care must be taken when operating forklifts, especially during dark and icy conditions. Adequate lighting, such as floodlights, should be available at all times to ensure visibility. Fuel, oil, and de-icer levels should be checked regularly, and operators should always allow the forklift to warm up before use in order to keep the engine at optimal performance. When operating a forklift truck, workers must be extra vigilant for adverse weather conditions and pedestrians who may not be aware of their surroundings. For this reason, it is advised to always drive carefully and slowly. If operating a forklift at night or in poor-visibility conditions, consider adding extra lighting to make the vehicle more visible. Keep these tips in mind when planning your day-to-day operations and you will minimise the chances of an incident occurring, saving both time and money in the long run. ECOLIGHTING’S INDUSTRY-LEADING LED TECHNOLOGY IS BEST FIT FOR STEEL TUBE SPECIALISTS.